Yale grad helps other immigrants find a legal path into the U.S.
Yale grad helps other immigrants find a legal path to stay in the U.S. In her work as a volunteer advocate, Hong Tran has been helping immigrants get their American citizenship for three years now. Now the Yale grad hopes that she'll soon become a citizen herself. 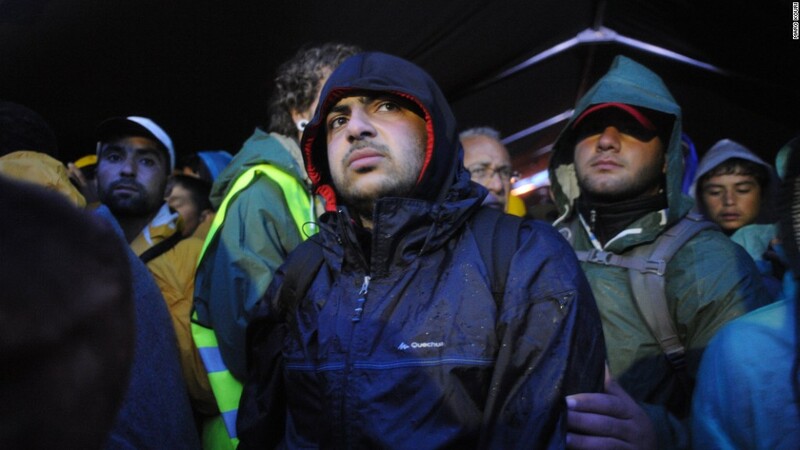 "I'm hoping to be a citizen in a couple of years. I'm very excited for that day when I can go to vote," said 26-year-old Tran, who immigrated to the United States from Vietnam in 2010. 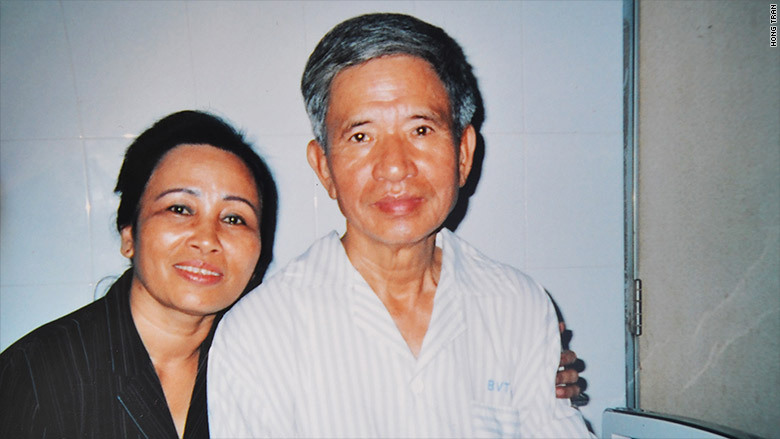 Raised in a Saigon neighborhood that was teeming with crime and crushing poverty, Tran's parents were among the millions that moved to the city as a result of the the Vietnam war. To make ends meet, her mother and father rolled cigarettes for a wage. Her mother also eked out a living administering insulin injections to her neighbors, first in their homes and then in clinics, she said. "Growing up was very rough. Drugs were a big problem," Tran said. "Walking home from school, I would pick my way among littered syringes on the ground." 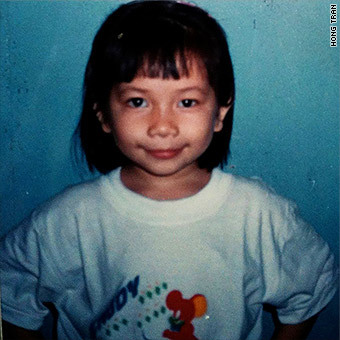 When she was 14, Tran received a full scholarship to attend high school in Singapore. It meant a difficult move away from her parents, but Tran -- who described herself as a mediocre student then -- recognized that the scholarship was her best chance of escaping poverty. Her father urged her to apply to Harvard or Yale when the time came. Aware of the competitive admissions landscape of the two Ivy League schools, she thought he was being wildly unrealistic. "I was like, 'Do you know how hard it is? I don't think so,'" she said. Tragically, her father died soon after she was accepted into the high school in Singapore. Tran threw herself into her studies and when the time came, she applied to Yale and gained early admission. She moved to the U.S. in 2010 and graduated with a bachelors degree in religious studies from Yale in 2014. 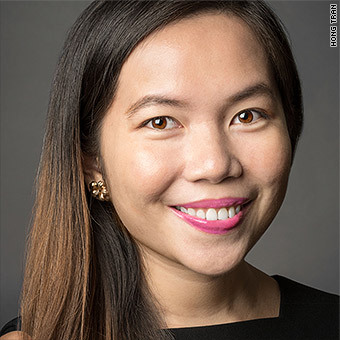 After graduation, Tran -- who speaks seven languages -- started working with non-profits in New York and Detroit, helping immigrants facing deportation and those seeking permanent residency or citizenship. In April, Tran received the Paul and Daisy Soros Fellowships for New Americans, which gives recipients up to $90,000 toward the graduate education of immigrants or children of immigrants. In the fall, she will return to Yale to study immigration law. This is Tran's American Success Story. Do you think that you were given more opportunities than your peers to get ahead? I've been able to travel and to go to places that a lot of my friends back home [in Vietnam] would never be able to given their current situation. 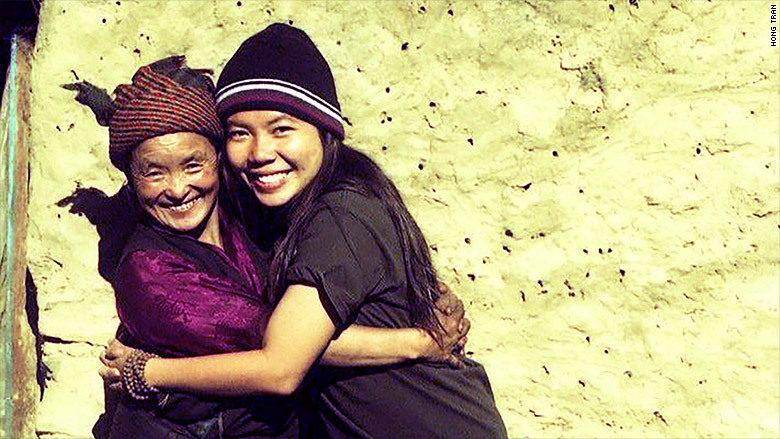 Tran with her host mother when she studied abroad in Nepal. Compared to people of my age that I've met here, I think I'm very privileged, which is a word I wouldn't think of using for myself 10 years ago. Do you think you work harder than most of your peers? I would say that I worked very hard. When I first got there, I was getting tutored at the Yale Writing Center every week. A lot of people never use these services, but I did every single week because I wanted to get my writing up to speed to write a college thesis on par with other people. Then, by the time I got my bachelors, I was serving as a tutor at that center. What would you consider to be your big break? The scholarship in Singapore was life changing. Even more so, the scholarship to Yale was extremely transformative. I've come to make this country my new home. If I had never been admitted to Yale, I would never have even thought about going to America to study. [Once at] Yale Law School, I'm excited to find a supportive group of change makers and advocates who believe in an America that's more inclusive and more just. Is there one person who's helped you achieve your goals? I'm forever indebted to my parents for their sacrifices, for just for surviving and having me, for being so hopeful and supportive to me all along the way, even though what they've been through was so unspeakable. Is there something that you do every day that helps you to achieve your goals? I enjoy learning languages. That keeps me going. It's fun and it reminds me of how big and diverse the world is. And I find humility in knowing that I may never be completely fluent in a language that's not my own. It reminds me of the struggle of people who come here to make a better life for themselves. They may not speak the language but that doesn't say anything about their character or their sense of investment in America. Hong Tran as a child. How do you define success and do you think you've achieved it? For me, it's being able to be part of something that's bigger than myself. It's being able to give back and encourage people to participate. But it's not a static thing, it's more of a life philosophy. I've worked hard, but obviously I have a lot more to learn. A lot more to work hard for, but I do feel incredibly thankful for everything that America has given me, and the people I've met here have given me. How do you feel about President Trump's stance on immigration? I think that it galvanized me. I'm really passionate about engaging new immigrants like myself to be politically active, and to even seek office, regardless of their language or where they come from. I think democracy works better when more people participate.